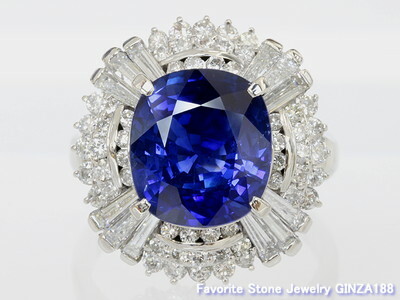 Although it is rather large, the charm of this sapphire lies in its ability to shine brighter than any other stones while also making one feel relaxed. 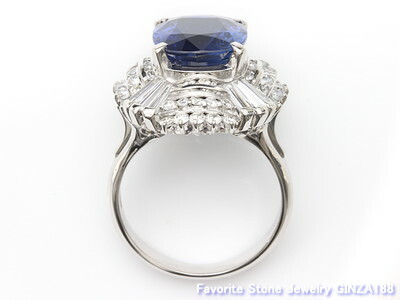 We would also like to draw your attention to the fact that it has a cushion cut. 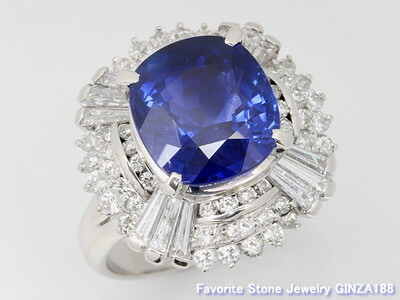 The rounded square shape outline and the quiet blue like a night sky, this sapphire shines like a sparkling star. 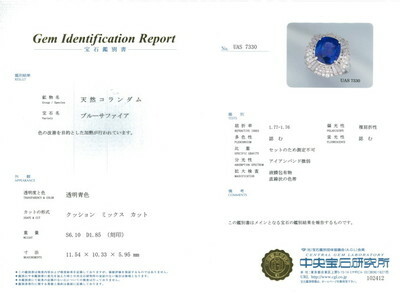 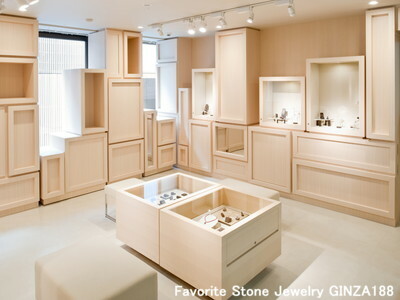 It has a luxurious finish and is seen as a noble adult jewelry.